To Go or Not To Go . . . I knew I would regret it all winter if I didn’t get out West for my first TTOTC search, but where was my back up: my husband couldn’t get away; a brother just laughed; my friend needed more notice. So, I just did it. 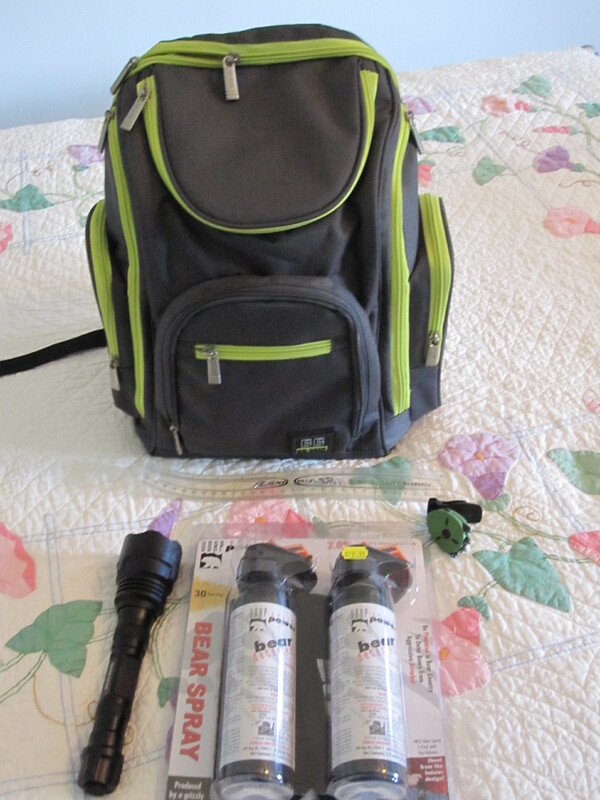 Found a back pack that could easily carry a bronze box, water, and bear spray. Flashlight. Check. Whistle. Why not? GPS. No. Forrest’s book. Definitely. Packed the car. Took off. It’s amazing how much ground you can cover at 75 mph. The vast, flat, empty Nebraska disappeared in a blur. Made it to Ogallala the first night. 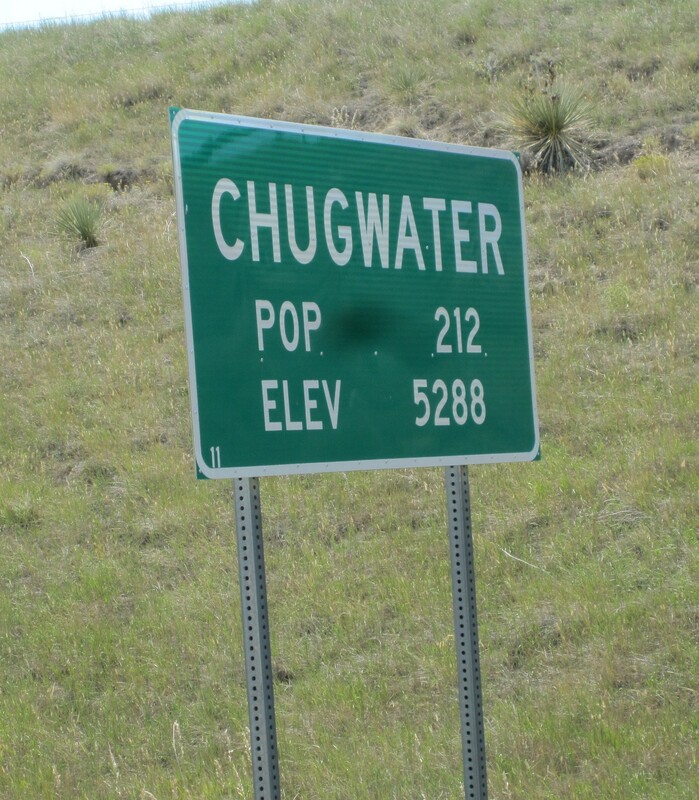 Then came eastern Wyoming. Hillier. Also mostly barren. Until the mountains start looming up out of nowhere. 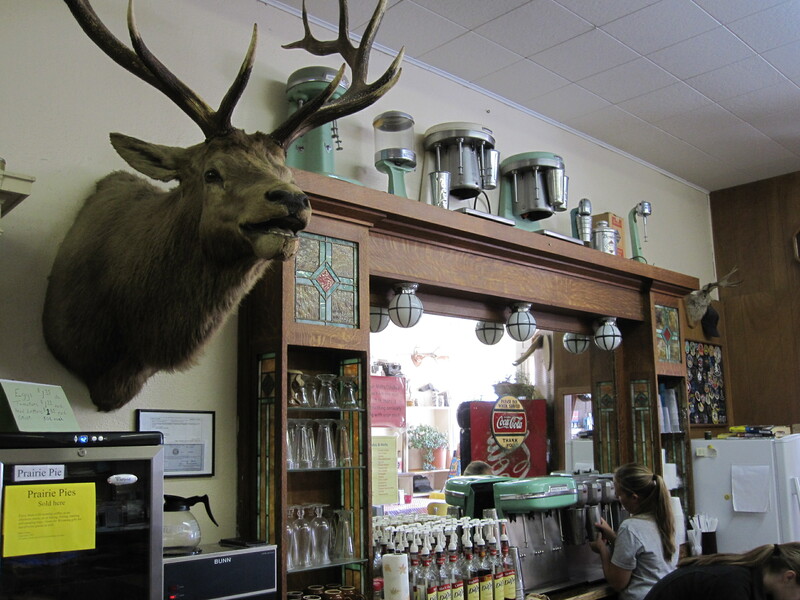 I headed north and stopped in Chugwater, site of an old buffalo jump, a museum (closed), and the state’s oldest soda fountain. Since it was 105 degrees F, I indulged in a delicious chocolate malt after wandering the outdoor exhibits. I passed the reservoir at Glendo, water low, where many ancient layers of rock are visible. Saw a couple antelope roaming, and a couple raindrops made it to my windshield. Fort Fetterman was Closed as was the GlenRock Museum. (It’s not even Labor Day yet, folks. Not that I minded the lack of crowds on the highways, etc.) I also saw the bright red gash where they’re cutting Red Mountain for the rock. At Kaycee I took in the Hoofprints of the Past museum, which had an outstanding number of arrowheads on display. 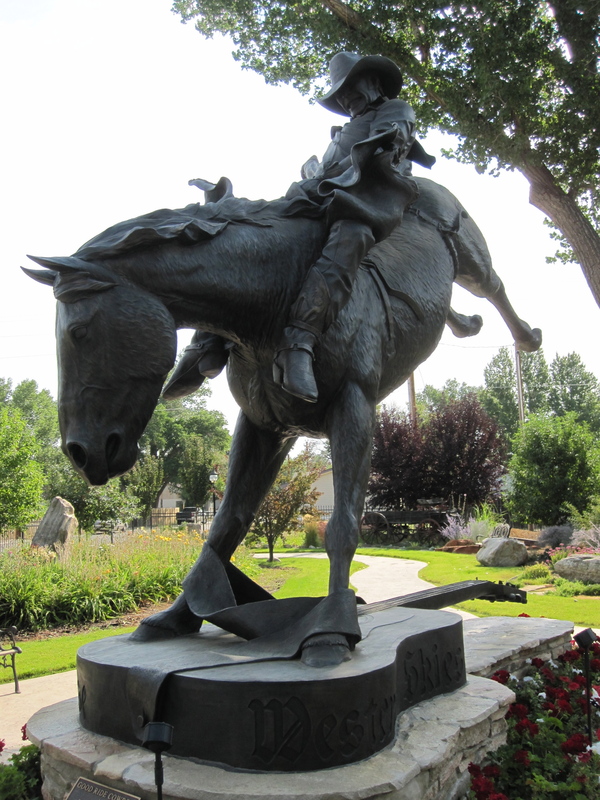 Down the street was a large bronze of a rodeo rider/singer. 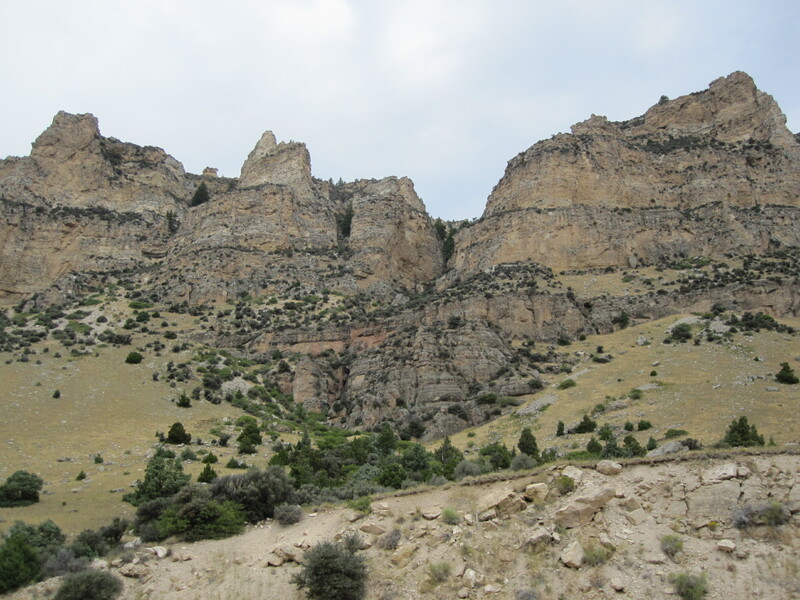 The most stunning visually is the Tensleep layer, a swirly red and cream, which I saw coming down out of the Big Horns. 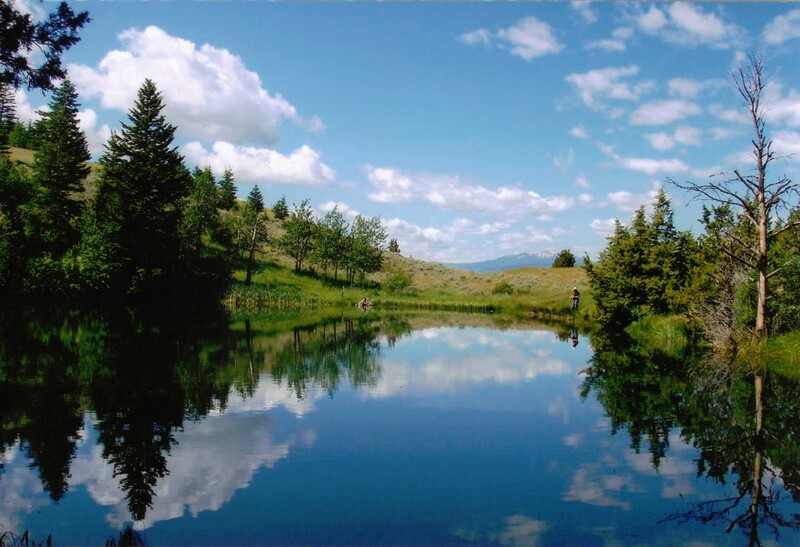 BTW, there’s a beautiful Meadowlark Lake up there in the woods. Are the Big Horn Mountains part of the Rockies? Until I hear otherwise from Mr. Fenn, I’m not ruling them out. 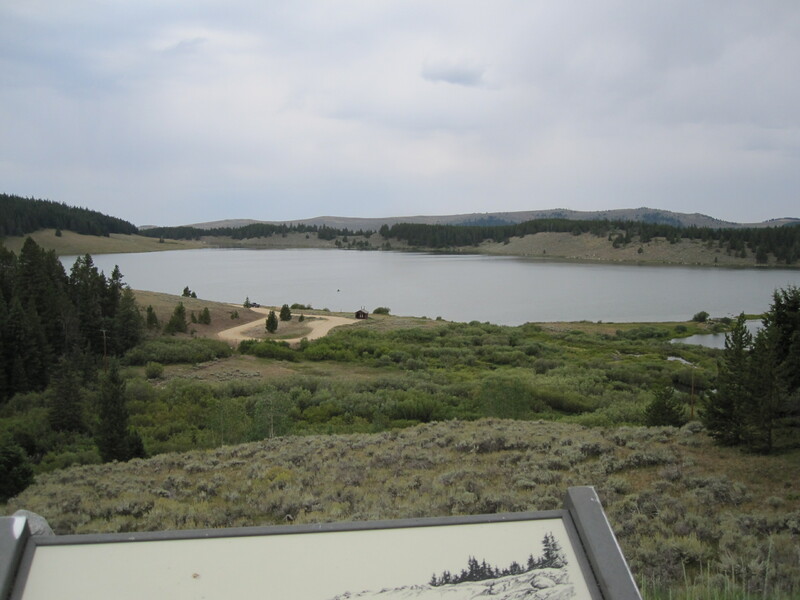 This entry was posted in Forrest Fenn, Rocky Mountains, The Thrill of the Chase, Travel, TTOTC Poem, Uncategorized and tagged Adventure, Clues, Forrest Fenn, Rocky Mountains, The Thrill of the Chase, Travel, treasure, Wyoming. Bookmark the permalink. ← Gators in Minnesota ! ? ! ? !